Get up close and personal with amazing wildlife on a journey that you'll never forget! Update: Registration for this once-in-a-lifetime opportunity closes today! In just over 3 months from now, at least 45 people will be joining our unprecedented kosher cruise to Antarctica. Our group will consist of Jews with a diverse range of backgrounds including Chassidish, Modern Orthodox, Yeshivish, and more. 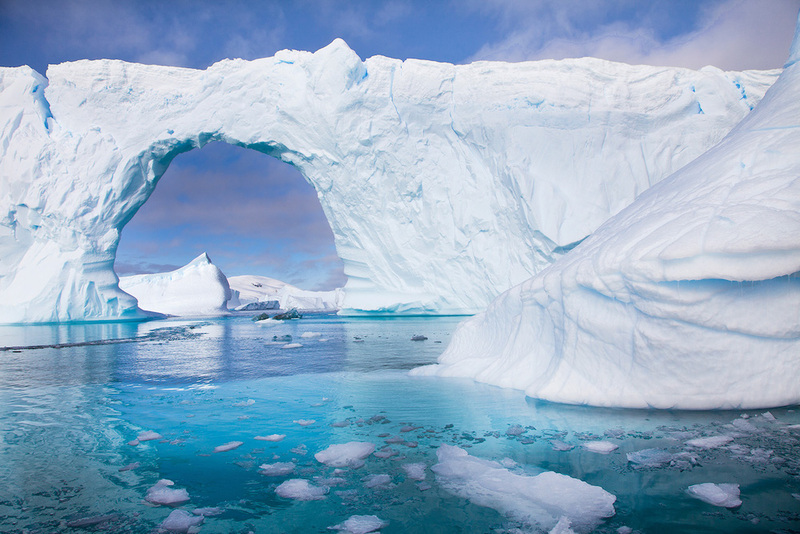 Travelers from their 20s to their 70s are looking forward to completing the ultimate bucket list item of stepping foot, and perhaps even camping out, in Antarctica. The group will have men and women (55% vs 45%), couples and solo travelers (75% vs 25%). It promises to be a diverse and fun trip for everyone. You can read all of the details about the trip and sign up to join on www.KosherAntarctica.com. You can find trip details and dates here and find pricing information here. Over the past decade I’ve been able to travel the world using miles and collect passport stamps from 6 continents. But the final frontier remained elusive. When Moishe Hersko, better known as “Something Fishy” on DDF, approached me about organizing a cruise to Antarctica, I jumped on the opportunity. Many readers know that in 2016 I bid over a million Starwood points to throw out the first pitch at game 7 of the World Series, but some readers may recall that in 2016 I also bid 770K Starpoints to take a cruise to Antarctica. Sadly I was outbid for that, but perhaps that was for the best. That cruise ship refused to cater kosher food or allow us to bring our own perishable food, so it was far from ideal. Moishe has run some amazing photo workshops across several continents. I traveled on one of his workshops to breathtaking Arctic Norway and Svalbard in 2016, home to the closest commercial airport to the North Pole. We stayed in Longyearbyen, the northernmost city in the world and went snowmobiling into polar bear country, went dogsledding, and experienced the Northern Lights. Truly an unforgettable experience! And now we’re going to go as far south as we can get. We will fly as far as commercial airplanes can take us, to Ushuaia, which is the southernmost commercial airport and city in the world. From there we board our ship to reach Antarctica. It takes 2 days to cross the Drake Passage, 5-6 glorious days are spent in Antarctica, and 2 days are spent cruising back. It’s a land of incredible beauty and wildlife and it’s the last great frontier on our planet. Of course those who have Antarctica on their bucket list already know this and other people will just think it’s crazy to invest so much to reach the farthest corners of our planet. For me though this is something exciting and you don’t get that level of excitement from a trip to Miami. Our time in Antarctica will be spent walking among thousands of penguins, zodiac cruising between towering icebergs, and watching whales breaching and seals hunting. You can join guided hikes, snowshoe up mountains, and even camp overnight in Antarctica if you like. Or you can sit back, relax, and enjoy the stunning views that few have ever seen. There are a myriad of halachos (Jewish laws) when it comes to cruises that travel over Shabbos. You are not allowed to charter a boat or go on a boat over Shabbos if the majority of passengers are Jewish, so we would have to tag onto an existing trip. Due to Shabbos, you are only supposed to board a cruise on Sunday, Monday, or Tuesday, which eliminates many trip options. 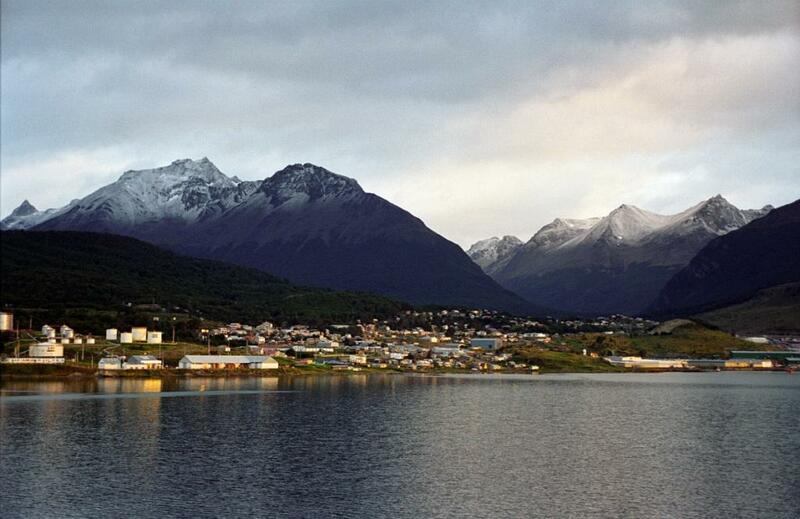 If you depart on Sunday you would need to spend the previous Shabbos in Ushuaia, so we wanted to avoid that. If you depart on Tuesday then you would be stuck in Ushuaia for the following Shabbos, which we wanted to avoid as well. That meant we had to find a ship departing on a Monday. More crucially, we had to find a ship that was willing to work with us to arrange a kosher group with all of the special logistics that go into travelling as a religious Jew. After months of research and negotiations, we found one ship operator that was not only willing to tolerate the kosher aspect, but was actually happy and proactive in working with our needs and challenges. Over the next 2 years of their sailings, they have one cruise departing on a Monday. We plan to depart Ushuaia on Monday, December 10, 2018 and return to Ushuaia on Thursday, December 20. That way travelers can be away from home for just one Shabbos. 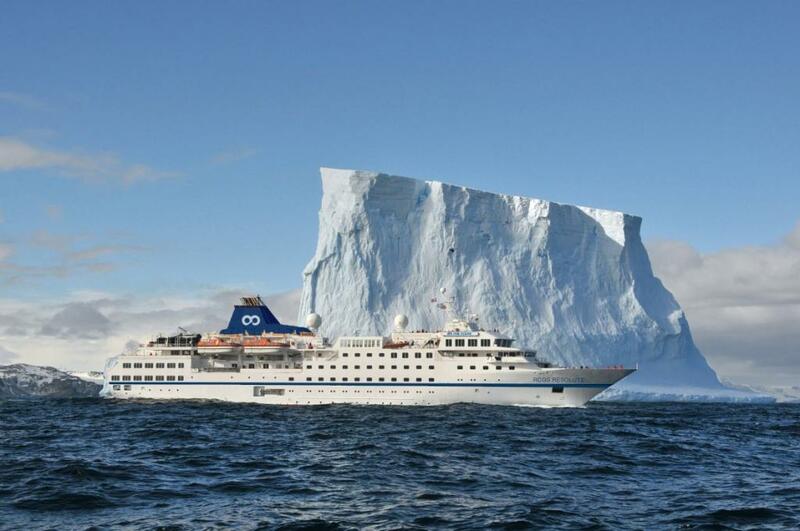 Cruises to Antarctica are notoriously expensive and sadly, this will be no exception. But if you do decide to raid your bank account, you will experience the trip of a lifetime. Have a ton of miles to burn? We can also work out a method to pay for the cruise with them! 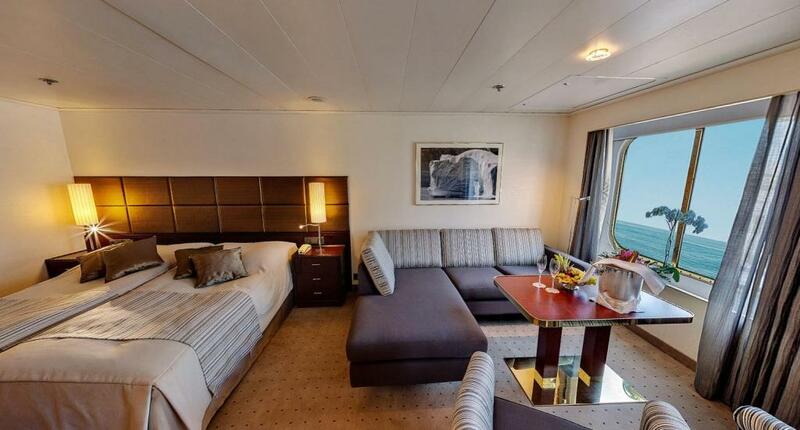 All rooms, meals, snacks, drinks, and wine are included in the price of the journey, as are Ushuaia airport transfers, pre-cruise 5-star hotel night, and much more. An expedition gear package will be provided for all passengers, including a windproof and waterproof jacket, boots, backpack, binoculars, trekking poles, and more. I’ll be giving seminars on credit cards and miles while the boat is in transit from Ushuaia to Antarctica and Moishe will help you capture amazing photographs and perfect them in post-processing as well. Want to learn more? You can read all of the details about the trip and sign up to join on www.KosherAntarctica.com. You can find pricing information here. 230 Comments On "Final Day To Register! Join Me And Over 40 DansDeals Readers On A Once-In-A-Lifetime Kosher Catered Trip To Antarctica!" It’s a bucket list item for a lot of people! Nothing that can really be done about the expense though, the cruises to Antarctica are all a small fortune and adding kosher onto that doesn’t help. Looks awesome! Do you offer babysitting services, so i can leave the kids at home? We’re not looking for anyone at this time, sorry! At the end of the day, approximately how much is it per person? @dan if only I knew you then. Run a lottery to have a private points consult with you. I’d buy tix!! Good luck with the Drake Passage! As gorgeous as Antarctica is, the price of admission is going through the Drake Passage. Will the seminars onboard elaborate on that? Are the people joining this trip getting twitter messages about discounted soap where they can save $2.51 (with subscribe & save)? Ironically enough, the more upscale Pesach program I worked at had far more interest in DansDeals related topics than the lower end program. But it actually made sense. Some of those people were spending tens of millions of dollars per year on credit cards, so my advice was worth a lot more to them than to someone who doesn’t spend in that league. Lol! I’m drooling just reading up on the details. This is pure torture! Just wait for the Instagram shots. Can we have another one in 5 to 10 years so we can save up? So I know now your not planning another one but can it be possible in the future? I’ll never say never, but I’d say the odds would be very small. What happens if a solo woman traveller wants to come? How would rooming work? That’s perfectly fine. You would be put in a room with another solo female traveler at no extra cost unless you wanted to buy out the entire room for yourself at a 50% upcharge. Do you think that there will be other solo Jewish women going? What happens if I’m the only one- would I have no choice but to pay the solo room fee? If for some reason there are no other solo women to share your cabin you will not have to pay the fee. There is however the chance of the ship pairing you with another solo woman who is not part of our group if no other solo women join our group. @Jagna18, we currently have another solo woman interested. If you are still looking for a partner, please email info@kosherantarctica.com and we could take it from there. Brings back memories of my merkaz shlichus days in Ushuaia. You’d be surprised how many Jews we found there. Beautiful place. Time for a full time shliach? Wow, this looks amazing. Price is steep but maybe ill bite. It will indeed be amazing! 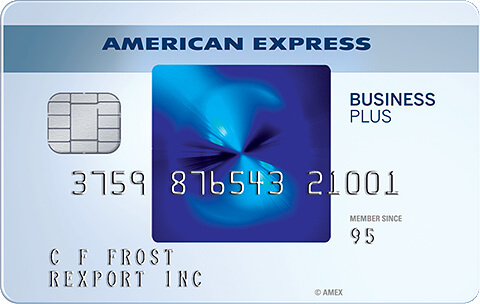 Can we get a 20% discount by using one Amex point? You’re in Antarctica for cryin out loud! Get off the grid. There should be email available. Hope we can get at least a 4 part trip report on this. It will be epic! That’s one of the things we teach on board! Didn’t we mention it ;)? Please post when they have a price mistake so we can be the first to know. And in the meantime please work with the operator to arrange a price mistake. Does this get me to TLV for cheap? 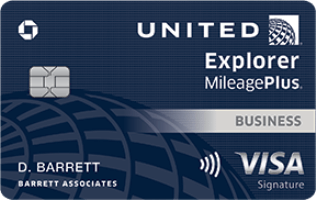 How can we help decreasing the price using miles ? Or even pay totally w miles ? You can. Please email us about this option at info@kosherantarctica.com. We save on small things to spend on big dreams, isn’t it what we are saving for? True story. Better experiences than things anyway. Will chase cover trip protection on this trip? which CC should I use to book? Sapphire Reserve will provide the best coverage. Only the deposit can be paid with cc. No? Are you sure Antarctica is south of Miami? Lack of serious wifi is a dealbreaker, unfortunately. I know it’s ridiculous to expect it in the frozen tundra and I wish my business allowed me to disconnect for a week. But think about it ryan, if you were going to spend so much travel time, effort, and finances for such a once in a lifetime trip like this to just be connected to work, then what type of gainful trip would this really be? Incorrect. Check Wikipedia. Maybe I was referring to the Toyota Tundra? Regardless. I would need a connection for certain tasks. It’s quick stuff and it’s not like I would be huddled in my cabin while everyone is off marching with the penguins. Everyone’s reality is different. That’s mine. Otherwise I would seriously consider this. You can get plain-text email to an onboard account, either the the ship’s terminal or on your own device via WI-Fi. Looks incredible. I hope that one day, I will be able to afford this. Dan do you need a bilingual Eng-Spanish assistant? I am a former Argentinian living in NY and never being in Ushuaia. This trip is unreal! looking forward for some awesome pic with your mavic pro !! p.s. 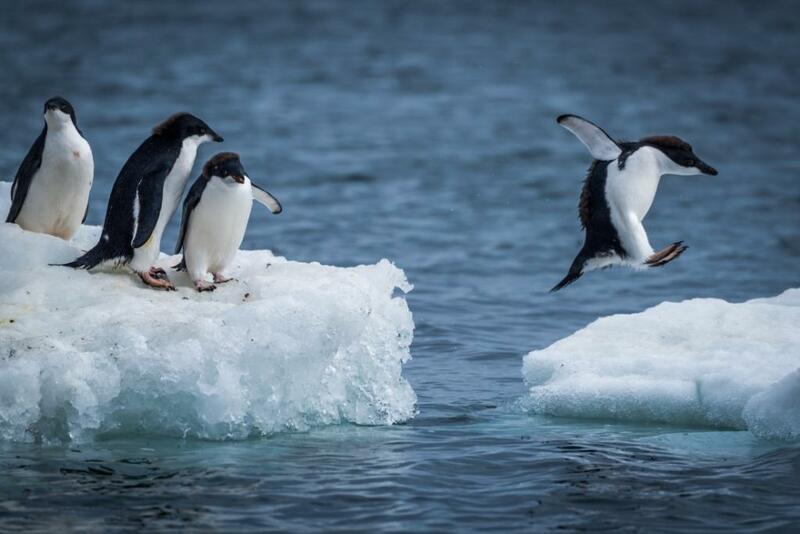 penguins might not be accustomed to drones!! Will you provide Seudah shlishes? What Nusach will the Bal Tefillah daven? lol Sam. Hashem gives you a once in a lifetime opportunity to get a fully glatt kosher experience in Antarctica, complete with minyanim, a sefer Torah with seforim and siddurim, a Menorah, a hemish shabbos, an exhilarated team who happen to be frum. I wish I was able to go on this trip, but I know it doesn’t matter if they daven ashkenaz, sephard, or which brand of gefilte fish they will serve. All the more so, when one is at Disney or at a random airport and a minyan can miraculously be created- does it matter which nussach the bal tefillah davens? Maybe this trip will exemplify the miracle of lightness of channuka (even in the most hidden places on earth)- please don’t miss that message in life! We will provide menorahs for everyone to light that night in Ushuaia. FYI. There is a major Eiruv Chatzeiros issue when there is 2 or more Jews on board and the owner of the ship is a Non-Jew. Discuss this with a rabbi and make the passengers aware. Eli, Kosherica, Josh Post, and others have been doing it for years with many reputable rabbinic scholars in residence on board. No different than a hotel room. As long as the owner can walk in at anytime it’s not a problem according to most LORs. What Kosher Supervision does L’Orchidée Traiteur have? MK Kosher (Montreal Canada) hechsher. Dan, we can’t nibble on this, since we’re heading to Ushuaia in January for our own land-based trip but I wanted to tip my hat to you once again. You continue to prove that observant Jewish can pursue any travel dream, if they are resourceful and persistent enough. Exactly the reason why I’m organizing this. Although this is out of my budget unfortunately, I’m very impressed with the price. Being completely frank and honest, comparing the kosher fares to the ones the general non-kosher cruise’s website posts, the up-charge for the kosher and all extras are fair and reasonable. 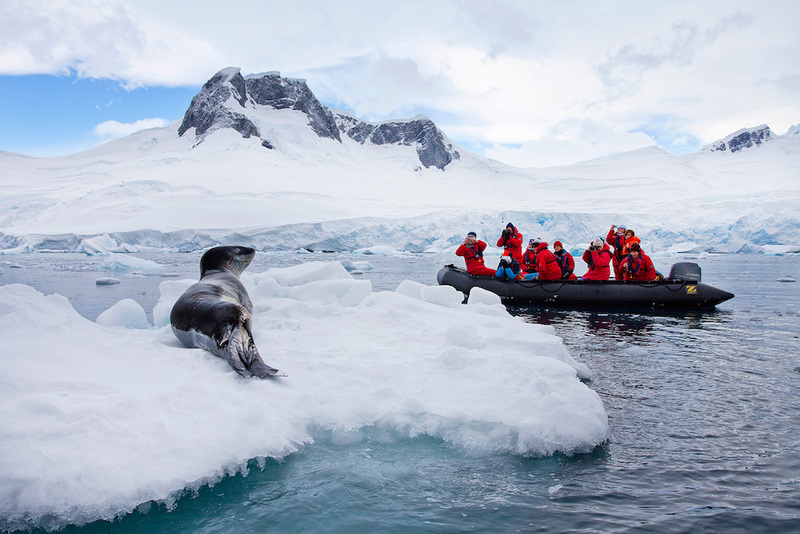 From all the years of comparing well-known kosher cruises, where the up-charge is double or more from the general cruise’s rates, I think this kosher antarctic expedition is truly a steal. Plus, on a regular Royal Caribbean, NCL, Carnival Cruise you can get the frozen kosher meals. My understanding is that is not possible on the Antarctic expedition cruises. Morris Hersko- One last thing to add- Your pictures on Instagram are spectacular. Some pictures appear to have been taken in Old Town Havana Cuba. If you and Dan can arrange a kosher Cuba trip, I know I’d be very interested (I’d anticipate the pricing would be a bit more down to earth than Antarctica). Cuba is certainly off the beaten path and “forbidden fruit”. Thanks! yes, they were taken during a Cuba workshop I gave. Any chance for a payment plan on such a trip? 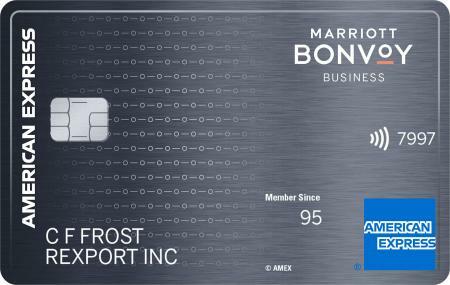 Signup for a 0% APR card? Doesn’t 75% have to be paid in cash? No, it can all be put on a card with a small processing fee. It will actually code as travel, so you’ll come out ahead with a Sapphire Reserve. this sounds very cool but you should probably disclose if you’re getting money for promoting this. Why would he need to disclose that? Sheesh the amount of cynicism on this site is insane. Just be happy and thankful for this great site that costs you ZERO. If less than 10 people sign up, I’ll volunteer to make the minyan! would love to go on the trip and hear a seminar but cant afford this trip. similar to what warren buffet does? out of curiosity, what is the expected/anticipated sign ups? is there a payment plan option? any advice for award tickets for the airfare to Ushuaia? Feel free to contact us for more details and help. I have done serious research on cruises to Antarctica recently and I am very impressed by what has been put together for your community (I’m not Jewish). Extremely professional website and very good pricing…check it out for yourself by comparing to ships website. Plus, all the extras pre and post trip! For those of you lamenting the cost, you really just don’t know how much these things cost. Trip of your lifetime, surrounded by your clan. How awesome is this? If you can do, commit. Antarctica might not be there in 30 years. קוראים לך שלמה אבל אתה לא יהודי. באמת? Lol , was wondering the same. Unfortunately a 24 hr fast day in the middle of the trip is a deal breaker – especially considering that it finishes at midnight! -There are literally no other options that worked out over the nest 2 years. 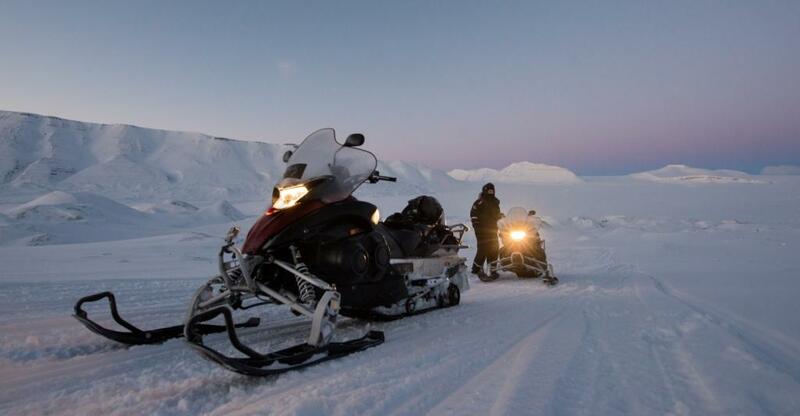 -The fast falls out after we explore Antarctica, so it’s just a day on the return ride. -If you do get seasick there is definitely room for a heter and food will be served on demand that day. Talk to your LOR. Do you need a rabbi to lein, give shiurim, pasken on dateline issues, etc.? Dan will the lectures/seminars be basic, advanced or everything in between? is that your only concern? How many slots are available in total? Dan, any chance you can organize a raffle between all DD readers, we can all say pay in $50 and if we have 500 participants that can be enough for 2 people to Join the trip? I’m not going to organize that, but you’re more than welcome to. There was talk of that on DDF as well. Dan, I please let medical questions be answered by the person’s chosen medical professional. I t sounds safe but anything can happen anytime, hospitals are not nearby. Obviously it depends how far along you are and what your doctor says, but there’s nothing inherently dangerous about this. But yes, talk to your doctor first. hey Dan` any deadline for signup? The early bird special ends 7/31. A free 3 day, 2 night Bahamas Cruise. I know all about it, as I sat through the whole phone shpiel once…… (ends up costing about $600 for a couple on a crappy older ship & interior room). As a long-time Kosher traveler I understand the costs and complications. I won’t complain about the price. I will say that this may be the first Kosher trip I have ever seen that is not offering ‘some’ aspect of Torah lectures or learning. Based on my experience following your blogs I would say this trip is more about appreciating “niflaos HaBore” (the wonders of the Creator)–which is awesome–I think if you could incorporate some learning (shiurim, avos u bonim, etc.) that might-up the appeal, especially with people unfamiliar with your tamimus who might see the schedule for the kosher trip and wrongly call it a “moshav letzim” and not give it a chance. Wishing you the very best! Thank you so much for organizing this! I hope you are very matzliach! AJ, I can’t afford to go on this trip. I could very well be mistaken, but my best estimation is that because the trip won’t expect to have hundreds (or even dozens) of frum people + doesn’t have much leeway for additional added expenses, organizing a formal schedule with Rabbonim, Scholars, and classes might be a challenge. I’m sure once on the trip, one can find a chavrusa or volunteer to teach daf yomi, for example. Because so many ask about wifi, instead of 100% for “business” or facebook; YUTorah and Torah Anytime shiurim websites can work anywhere in the world. The costs of this trip actually have nothing to do with any other trip. Trips to Antarctica are always enormously expensive. I’m doing this as a bucket list item, not to make money. Adding a budget for entertainment and Rabbis would make this trip cost prohibitive for everyone. That being said, I’d be happy to learn in Chavrusa with anyone who so desires. Sounds great! What is the cost? What about singles or solo travelers? Click on the links in the post for all of that info. Serious comment: on the map i see that the trip fails to cross the Antarctic Circle, it turns around a day short. That should be MANDATORY! I’ve traveled North of the Arctic Circle, and I would HAVE to cross the Antarctic Circle if I was going to be that close!!!! Is there any plans to be able to cross the AA Circle? Boats can’t get south of the circle until later in the season, by which time the snow isn’t as pristine. But the bigger issue is that there is no boat later in the season that would meet the requirements in this post. I’ve been above the Arctic circle as well. Personally I’d like to say that I walked on 7 continents, the circle doesn’t mean much to me. Being below the circle also creates enormous Shabbos questions. You can promote the fact that those who join this trip will get 3 continents in one trip for no extra charge. (Leaving from North America, Landing in South America, walking on Antarctica). I guess theoretically many visit 3 continents too if they stopover in Europe on their way to Israel (N. America, Europe, Asia). The best I’ve heard is a flight from NY to Cairo (stopover in Europe), then transporting to Israel- which he touched 4 continents in a matter of hours. If only I could take off so much time at once I would figure out how to use miles to do it. Everyone has that problem, myself included. But there’s no way to do this trek in less time and it’s never going to be easier to do it as a kosher and shabbos observant consumer than now. @dan so are you all set with flights booked? are flights from CLE more easily accessible than other places? j? f? It is a once in a life time kind of thing unless you are in the 1% of the richness. Me and my wife were able to do it by splitting the payments on multiple credit cards over 1 year time for this trip. Unfortunately due the cancellations and delays those flights often have, it is nearly impossible to make this work with Shabbos. Plus ships that operate as fly/cruise have severe logistical issues as far as kosher goes. True, but the alternative is waiting for hoping something better would open in several years from now. its a great option. naysayers will always be naysayers and find a reason for it not to work. “everyone” just wants it to accommodate them without thinking about the others. this is a terrific itinerary and very impressive putting it together. all negative comments should be posted elsewhere. live life once… dont push off something till tomorrow what you can do now. if you ever dreamed of doing this, now is certainly a very good opportunity. entire trip organized and no details left out. if it costs too much, then even five years notice and all the planning wont work. its going to be expensive. its not a deal. once you can appreciate that, then you can start thinking about doing the trip. this isnt 24 BM. its not free. dont use your rent money either. yankel, very well said. I curiously keep wanting to come back to this thread to see what type of negativity someone can pull. Just because someone is unable to go because of financial or family reasons doesn’t mean one has to keep pulling excuses like they won’t daven in my nussach, there will only be 1 shacharis minyan, and not 2 or 3, no top-tier scholars, etc. We should merit that this will be our last Tishab’av without our Temple, but sadly I wouldn’t be shocked if when the day comes people come up with excuses. its not a complaint it was a statement of fact.While i would personally love to go the timing for myself and anybody else with amazon /retail business doesn’t work out. I understand we are a sub-segment of the population and it wasn’t a complaint.As for if you really want it you will make it work if 30- 40 percent of your income comes in 5 weeks it’s not feasible to miss 2 of those weeks. Something that I don’t see covered, why is going with you guys a $3-$5K premium over booking the cruise with the carrier themselves. what is provided for that extra money? The base triple cabin is marked up by just $2,000 and the base twin cabin is marked up by a mere $1,800. -Kosher meals in Ushuaia, on the boat, and for the plane home, including 3 full Shabbos seudas, melava malka, etc. -Luxury hotel, transfers, and menora in Ushuaia. -Unlimited soft drinks for our passengers only, for the entire cruise, as I didn’t want people to complain about being nickel & dimed for drinks. -Seminars and workshops from myself and Moishe on miles, credit cards, photography, and photoshop. -Flight booking assistance and the ability to use miles for the cruise. -A sefer torah on the boat. Now what in the world are you complaining about?? 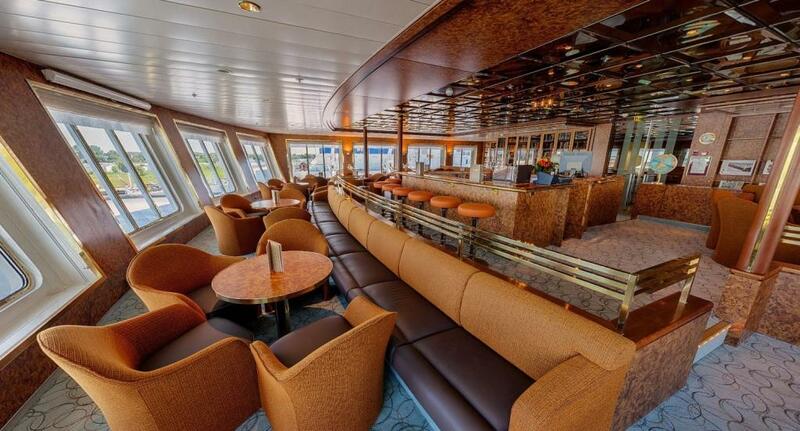 Other kosher cruises mark up prices by several times. This markup is an utter joke and is being done because I want this trip to happen and for people to be able to afford to splurge on a once-in-a-lifetime trip without compromising on kosher! It was a Q, it wasn’t disrespectful (as opposed to your response). There’s a markup over their base rate (depends on cabin how big the markup is). The Q is for what. it’s a fair Q, you answered and people can decide that value to them, but you don’t have to be rude about it. A respectful question might be “What are you providing for the extra $1,800-$2,000?” Even that is questionable IMHO. This has been a huge endeavor and I don’t expect to recoup our time and cost, this is truly bargain pricing for what’s being provided. Do you also go into stores and ask why they mark up prices on items they sell? I certainly didn’t read your question as respectful and your massively exaggerated number didn’t make it respectful either. Regardless, the March trip lands in Ushuaia on Purim, which would make it extremely difficult to do the mitzvas hayom as people are rushing to catch flights back home and wouldn’t arrive home until the next day. Additionally in March the snow has already turned into mud, the penguins are gone, and most of the icebergs are gone. A 1-2 line quick comment is generally going to be a bit brusque. But brusque isn’t in and of itself rude, though I understand why some would understand it as such. There was nothing that accused one of making huge money, the Q was simply, what’s the value for the markup. In regards to exaggerated numbers: I looked at all classes and based it on the regular (non early bird) numbers. I’d agree that perhaps this is incorrect if the early bird numbers are tied to early bird pricing one ocean provides that are not reflected as such on their website. i.e. after the early bird period you are providing the one ocean pricing would rise as well. And yes, there are plenty of times in the context of expensive purchases that I (and most intelligent consumers I’d think) ask why they are marking it up. As an example, would you not try to get the best possible deal you could on a car purchase / lease deal. Would it be rude to ask why the dealership is marking up the money factor over the base rate provided by the captive lender? I personally don’t think its rude. I think its part of being an educated consumer. Fair enough, I hope you now understand why an $1,800-$2,000 markup is a very compelling value here. Same trip, so many different opinions here. Earlier in the postings I praised the price and the modest mark-up for all the extras provided for the orthodox traveler. It takes a simple search to realize that “competing” kosher cruises can charge up to double than the standard cruise rates. I’m on board and have purchased flight to eze. how can you buy flight to usu on points. Trip looks great. And I am a daf yomie addict looking for a group too. You can check Delta.com for awards on Aerolineas from BUE-USH and you can call American for awards on LAN. 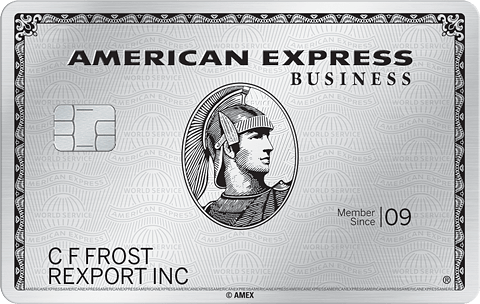 Of course you can also use AMEX/Chase points. My wife and I are in. Getting award tickets on the return flight looks to be difficult. i haven’t stopped thinking about this trip since it was announced! Hmmm, you know there are no Aurora borealis in Antarctica? There definitely are auroras in Antarctica (Australis, not borealis), although we obviously have no hope of seeing it in the summer. As far as the Drake, it could be either the Drake Shake or the Drake Lake – and is usually somewhere in between. The Bark Europa, while a breathtakingly beautiful ship, is over 100 years old and has absolutely nothing in the way of stabilization, whereas our ship is a purpose-built polar vessel and is incredibly stable. But in the end – like you said – even the worst Drake crossing is absolutely worth it. I wish I could do it. It sounds wonderful. This is the top of my trip list, other than Yerushalayim. Unfortunately, I’m now in Shloshim for my mother and the logistics of having a minyan with that kind of traveling (getting south ) are too iffy. So we will celebrate our 40th anniversary on the first night of Chanukah with our children and grandchildren in University Heights. Like we did last year. Is there a non kosher pricing package? Sure, please use the contact form on the site for a quote. Hi. What is the real price, early bird, all inclusive, flights, tips, trips, taxes, insurances, EVERYTHING, for a couple leaving from JFK, wanting a superior plus cabin? Are these prices in mexican pesos? $30,000 can do a lot to help people in need. How can anyone justify this when other people are starving or homeless? You can make such a comment with respect to any desired luxury. In a capitalist society, money must be spent to generate income for others. In this case, for example, travel agent, kosher caterer, etc. They then use the money to finance shelter, food, etc. Money does not go down the drain. Money also serves to encourage people to work hard. If there is no incentive at the end of the road, why work so hard. If your desire is to generate income for others, than just go around and hand out money. I also would say that people going on this trip are doing so b/c they enjoy it. They are not thinking about giving the caterer a parnasa. They are thinking about having a good time. I have no problem with having a good time. I have a problem when that “good time” costs more than most American’s make in a year post tax. You can work hard and make a lot of money and not spend $30,000 on a trip. Work hard, buy what you need and help others instead. Jason, Jewish law dictates that one is obligated to give 10% of his/her income to charity to fulfill the biblical commandment. There are detailed ramifications into circumstances of one when one wants to give more than 10%. Aside from my faith’s view on charitable giving, I have a challenging time understanding your communistic (Fidel Castro-like) ideology. I make around the $100k mark, and I’m not surprised, disappointed, or expectant of someone who makes $500k to take the same vacation as I. Just like I’m not negative/dismissive at myself in 2018 for taking a more elegant vacation than I would have in 2012 (when I made half of my 2018 income). I can’t afford most deluxe Passover hotel programs (which range to over $30,000 for a family), but I’m not dismissive of a family who makes $1 million annually to spend 3% of their earnings for a deluxe program. Your statement “I have a problem when that “good time” costs more than most American’s make in a year post tax” –rejects all forms of capitalism. Should you be the decider of the maximum amount of money a family should keep, and the remainder be returned to the government of a charitable entity? Those attending the trip may not be thinking about providing a livelihood for others, but at the end of the day the realistic fact is that it is providing a livelihood for a caterer, a mashgiach, a photographer, etc. I don’t think it is your decision to pick and choose what a luxury good is or not. I know for one thing, my family member who is a successful plastic surgeon in LA makes a parnasah based on out-of-pocket “luxury” elective surgery (that is why he spent years on tuition, studying, residencies, and practice)- if he wants to drive a Rolls Royce instead of a Chevy, and still maintain charitable giving to local organization, that is his ability of freedom of choice in the United States. There’s no shortage of places to spend money. Cars, surgeries, vacations etc. Having priorities with how and where to spend money does not make me a communist. The idea of giving 10% does not limit someone with wealth from giving more so please don’t try and leverage halacha/minhagim to justify not giving more than 10%. I don’t know how I would act if I became a billionaire overnight, but I certainly hope that I would give more than 10%. There was an article a few years back in one of the frum magazines about a very wealthy individual who made hundreds of millions building a real estate business. He was once in a department store buying a new suit and saw one with a price of $900 and said to the person he was with that he could not “afford” such prices. This is the type of person I admire. This man is a millionaire/billionaire but couldn’t get himself to spend $900 on a suit. Warren Buffet just recently purchased a new car of auctioning off his 2001 Lincoln for charity (http://www.motiveautofinance.com/276/what-kind-of-car-does-warren-buffet-drive/). He bought a $42,000 Cadillac not a Rose Royce or Ferrari. Priorities, my friend. No communism. you couldn’t say it better! Kudos to you and for your common sense thinking. 2nd thing is, that people who go with their family to Israel for Sukkot or any hotel for Passover etc. or just a regular vacation in the summer for 10-15 days probably spend more then that,and its ok. Fact is, Hashem gave certain people money and he allows them to use it, otherwise he wouldn’t give it to them. If a person chooses to keep it and not enjoy it, that’s their choice. but that’s not what G-d intended. Thank you Dan for organizing this amazing trip i am sure most people here would love to join and enjoy the wonders of Hashem’s world, we should all pray and ask Hashem to give us all the opportunity and ability to join. As discussed by other commenters, your logic expressed throughout your posts requires you to sell all your assets to donate received money to charity. You may only now buy the cheapest possible raw foods to satisfy your daily nutritional requirements, rent the cheapest possible apartment to support your family’s size, and use public transportation to get around your community (of course, you probably should move to a place with much lower cost of living – after all, living in a big city is a LUXURY). Charities can use all that money that is saved! Your logic leads one to the above ridiculous conclusion. Someone who makes $100k/year, $200k/year, or $1M/year can choose to spend his/her money on his/her vacation as he/she deems fit after paying his/her maaser money. We live in a capitalist society; we do not live in a socialist one. You are simply expressing the horrible trait of jealousy, which you should work to overcome as soon as possible by learning Mesilas Yesharim and other Mussar sefarim. You should never look to your neighbor’s yard to ascertain whether their grass is greener or not. Felt compelled to chime in. I would hope that everyone in this forum gives tzeddakah and does as many mitzvot as possible. But I work very hard for my money and while I think of others often, no where did I read that I cannot think about myself as well and have some enjoyment of the creations. If you can afford this, and still do chested then do BOTH! How many cars do you own? How much is your home worth? How much is your monthly cell phone bill? You can do without a car and you can move your family to a one bedroom apartment and you can toss your smartphone… Just like your great grandparents lived in Europe. Think of all that money you would save each month and could give to tzadakah. Your cars and your house and your phones are not a necessity they are a luxury. I can assure you the people travelling with Dan likely give more money to tzadakah in a year than most Americans make in an annual salary. They don’t need to justify anything to you. And no I am not travelling with them or know anyone personally who is. First, no one has to justify anything to me. But we all need to justify at some point (hopefully after 120 years). I personally could not justfiy spending $30,000 on a week trip but that’s just me. Second, my car is a luxury? I don’t drive a Lexus or Mercedez. But if I didn’t have a car, I could not go to work or take my kids to school. I also wouldn’t call driving to work a luxury. That is a necessity. I’m not even sure how you think otherwise. I’m grateful to have a car but owning a car and taking a vacation are not the same thing. Third, are you really equating squeezing a full family into a one bedroom apartment with someone not going on a $30,000 vacation? Living in a home that accomdates the size of your family is certainly a blessing but I would not equate that with taking such a lavish trip. In fact, $30,000 could cover most people’s mortage for a year (or close to it). You don’t need to live like they did in Europe and give every penny away. You can live comfortably and modestly and still not take $30,000 vacations. I have a hard time even reading what you wrote with such flawed logic. I couldn’t either. But it’s not for you to determine what someone else should or should not spend on vacation. Your original post could have said “I cannot see myself paying $30,000 for a trip. If I had that kind of spare money I would give it to tzedakah.” That might have been a nicer way to put it, instead of counting other people’s money. Jason, again I believe you are missing the point. In life you and I are probably alike, as I couldn’t imagine spending obscene amounts of money on luxury clothing/cars even if I were a millionaire. I commend rich people (like Warren Buffet) who live very modestly and humbly. But, what you are missing is just because I admire Warren Buffet’s actions doesn’t mean that those going on Dan’s trip don’t have their priorities straight (or anything else wrong with them). In fact I believe those joining the trip, owning luxury items, giving charity, and having savings have their priorities in line better than those with no savings, racked up debt, and terrible credit. Look, I don’t like seeing people struggle financially, but those that have the means for the trip, charity, and a life of luxury are not to be judged in an ill fashion and should certainly enjoy what G-D has given him/her. Warren Buffet can choose to stay at a Motel 6 or a Ritz Carlton, neither is better or worse. Concluding, please don’t be so worried about how G-D will judge one after 120 years. It’s possible that those with the large fancy mansions have used it to benefit community shiurim, kiruv shabbatons, etc. It’s possible that those frum travelers on this upcoming Antarctic trip will inspire those Jews not as frum to lovingly become closer to frumkeit. Maybe those on this Antarctic trip already give 30%, 40%, 50%, maasar. We can’t judge. We certainly can’t be jealous. Love how you saved the best for last. Git gezuked! Beautiful EZ! I admire your Hashkafik view. Just to add, its also possible for people to want to go on this trip in order to get inspired by the niflaos Haboreh – in places that very few have done before. Additionally and more importantly, as Dan mentioned, this is the first time since the creation of the world, that a Minyan, Brachos, Kadish, Safer-Torah, learning Torah, mitzvos will be done in Antarctica! That’s an incredible zchus! If HAshem is making this trip happen, its muchrach that various tikunim need to be done in such places. There are certain Nitzosos Hakedusha that need to be mevurar in order for moshiach to come… and who knows, maybe the ones who are actually going on this trip, have some sort of connection to these berurim… maybe they have a mission to accomplish. Not just for themselves for ultimate geula of klal Yisroel. I am tempted to overextend myself and buy a ticket if only to rub elbows with all the other folks who can actually afford this kind of thing. Wide open Award Seats BUE to USH on Dec 9th!!! Get em quick. Delta miles 12.5K economy and 25K premium economy “business”. I already snagged the 3:35 PM flight. The premium economy looks just like US domestic first, so I think it was worth the 25K one way. How many miles will pay for a twin room? None of the 2020 dates depart on a Monday. They are more halachicly problematic than saying shma after shkia. Have you talked to a LOR? I haven’t checked the times that eli is referring to, but if he’s correct, clearly, saying shema before tzais is a problem. We do not generally rely on rabbeinu tam (saying krias shema after plag). Also, I don’t understand how your schedule solves the problem of sailing 3 days before shabbos. According to the website, it seems you will be leaving the boat and going to Antarctica on Thursday and/or Friday, then re-boarding the ship for cruising over shabbos. Also, not to nit-pick, but the gra holds you can sail on wednesday, which could open up some other dates. Nobody is saying it’s not a question, but yet there are communities in cities like Anchorage, Reykjavik, Oslo, Helsinki, etc that face this question every year and we also posed this questions to Rabonim, though everyone can ask their own LOR. The 3 day rule is from the initial embarkation on the journey in order to acclimate to the sea, not for intermediate stops. I’ve seen the white nights of Russia on a summer kosherica cruise through Russia a few years ago. There is no official start or ending to the day or Shabbos for that matter. For centuries Jews lived in regions where Zmanim were questionable. For centuries Jews lived in regions where they had to dip in the Frozen lake as a Mikvah, people survived and abided by Halacha with the situation and location they found themselves in. My great grandparents came to the US from Europe on boat, I don’t think they were as worried as some of you with whether it was Monday or Thursday. There was an official start and end to shabbos. You need a posek to determine when it is. They had poskim to tell them what the zmanim were. How could you possible know what worried them? Maybe they were very concerned. And maybe escaping pogroms is considered a dvar mitzvah which allows travel before shabbos. Reb Yid, my friend, you continuously respond with ‘asking the poskim’. Dan has continuously recommended people ask their own LOR, so I’m not learning anything added new. I recall with my “white night” St Petersburg cruise, the Rabbonim on Kosherica and the local Chabad actually aren’t able to establish when zmanim are- because there are no zmanim. You can check for yourself on the Myzmanim website- sunrise and sunset are left blank or with a “—“. In our case we established the closest city that is able to have an established time for the zmanim. Some on the boat waited until Sunday lunchtime, and that was respected too. Before responding, please 1. Don’t make assumptions that zmanim can always be established everywhere in the world. 2. Don’t assume that Rabbonim have magical abilities to create a sunset, when science will not allow it. Yes I’m sure the krias shema question is not new for this trip. Although there may be a difference between living somewhere and purposely going somewhere for leisure travel. As Rav Chaim famously said, a yid shouldn’t travel above the arctic circle to avoid the question of when shabbos is and other issues. About the sailing before shabbos, your answer assumes the reason is for acclimation, although there are several other reasons given for the prohibition. I would wonder how long being off the boat would constitute a new journey upon re-embarkation. Anyway, tzeischem leshalom uvoachem leshalom! We aren’t crossing the circle so we do have sunset. Eli, please kindly excuse me but I’m Lol. What do the Chabads in Alaska, St Petersburg Ru, Oslo Norway have in common? They all have zero or scientifically undefined measurements of sunsets in the summer solstice. It doesn’t fit my lifestyle or desires to have no sunsets, but I commend those frum Jews establishing Judaism in those places, while managing to keep zmanim to the best of halachic abilities. You are LOL about his halachic question? Interesting reaction. So does this mean if I win the Portland Chabad raffle in Sept I won’t be able to upgrade to a two person room??? You would be able to if you decide to on the day of the raffle. Dan, is this cruise jewish only? Would you accept a christian to join your group? Even if full thinking about joining you in future expeditions. The cruise is for everyone, but our cruise is tagging onto another cruise but adding kosher food, drinks, menorahs, and other items that are of interest to Jews. That being said, this is likely a one-off trip. I’m not envisioning a repeat. SO — has the lucky winner been chosen?